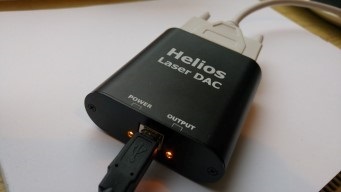 Helios is a laser DAC, used for connecting laser projectors to your computer. 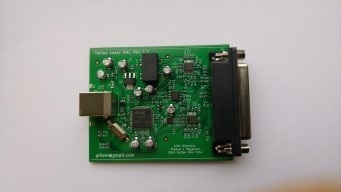 It is very low cost and open source, yet fast and with high resolution. It supports every laser projector with a standard ILDA port. Platform portable: Uses libusb which supports Windows, Linux, OS X, Android, Web etc. Download and run Zadig: zadig.akeo.ie/. In the dropdown list, find "Helios Laser DAC". Select WINUSB (should be default) as driver and click "Install Driver"
You're done, Helios should now be detectable and usable. On Mac, like newer versions of Windows, you don't need to install any drivers, the device should work right away if there is no existing kernel extension installed for the device. To use the device without root privilege, you probably need to set up udev rules. See this page for more information: Linux udev rules setup documentation for Helios DAC. 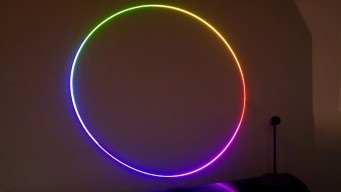 Using Helios with software that supports the OLSC API. Rename HeliosLaserDAC.dll to OLSC.dll or OLSD.dll depending on what the program use, and replace the file in the program's installation folder. The program should now be able to detect the Helios. If the program hasn't implemented the name property of the OLSC API, the DAC might show up as "OLSD" or something similar. Unzip, plug in the DAC and run the file "flash.bat". Follow the instructions on the screen (you will need to unplug and replug the device a couple of times). Latest firmware: v5 released on 2017-03-20. Updating is recommended if you bought your device before this date. The GitHub repo with the complete driver is linked above. Navigate to the folder "sdk" to find the relevant code. You can choose to use the native Helios functions documented in HeliosDacAPI.h (Exported C functions) or HeliosDac.h (C++ class), or you can use the OLSC API functions documented in OpenLaserShowControllerV1.0.0-Mod.h. 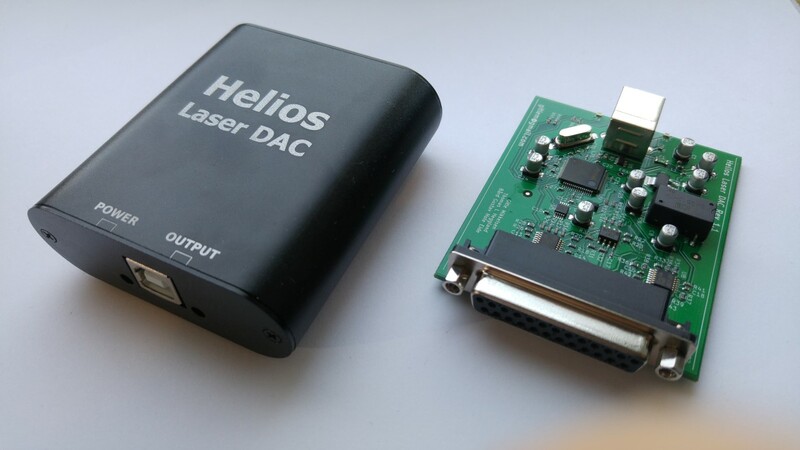 The Helios DAC is compatible with most operating systems, including Windows, Linux, Mac, iOS, Android, and more. Note that the OLSC API only support Windows so for cross platform applications it is recommended to use the native Helios functions instead. The driver depends on libusb. You can use the included binaries, or you can build your own. You can find the libusb source for that on their website, linked earlier in this paragraph. The hardware and firmware source are also found in the GitHub repository linked above. The PCB is drawn in Kicad. The firmware is written and built with Atmel Studio for the ATSAM4S2B microcontroller. Note that the hardware is under a non-commercial license. 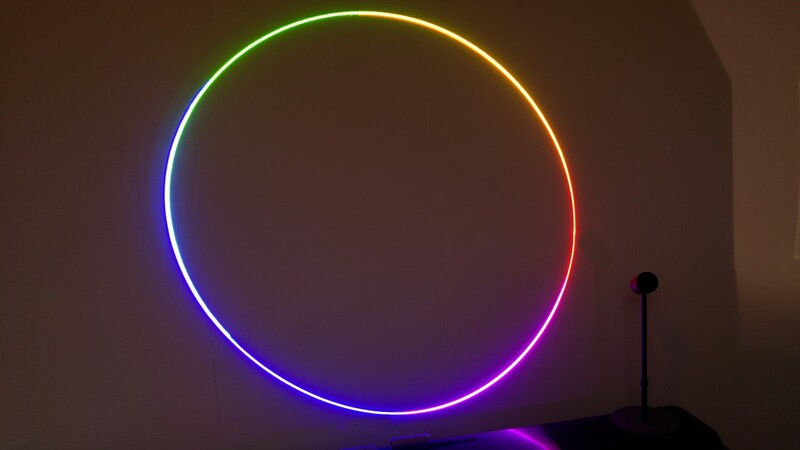 This means that you are allowed to modify your own Helios or manufacture Helios DACs for your personal use, but you are not allowed to mass-produce and sell Helios DACs without permission. New firmware can be uploaded to the device over USB. To do this, you must reset the "GPNVM1" bit in the flash memory, which will make the microcontroller boot to the SAM-BA bootloader. You can do this by sending a special interrupt packet to the DAC. You can then access the flash using Atmel's SAM-BA software or BOSSA. There is an automatic tool for firmware updating, see the bottom of the User Guide section above. If you have any questions, you can click the "Contact me" button in the corner of this site to e-mail me.